3’2” x 1’6” - Low Pile. 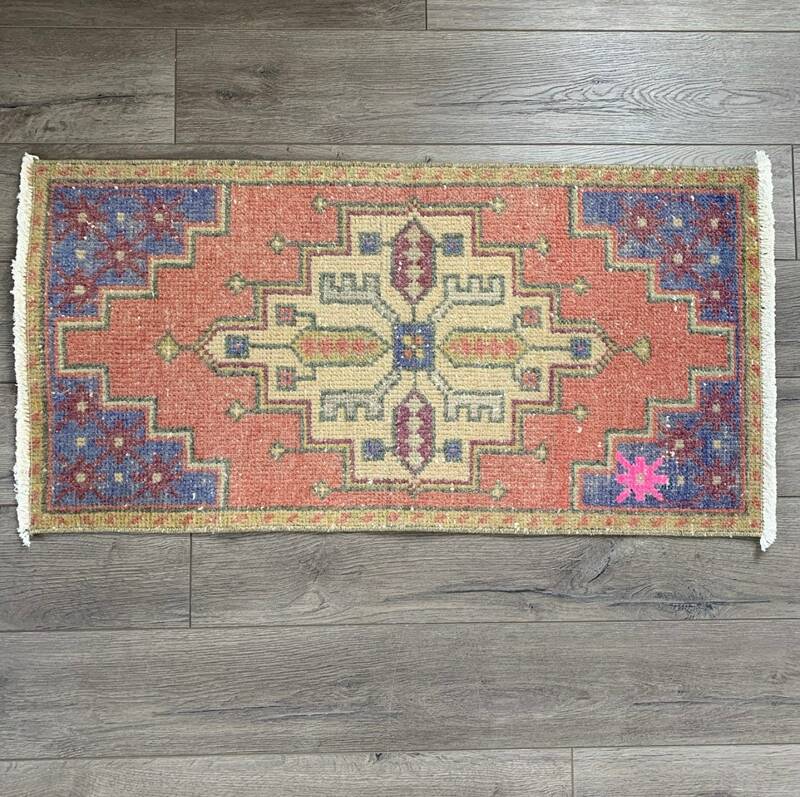 This mini Turkish Oushak was hand-knotted in the 1940s and is in excellent vintage condition. It has earthy colours - a well-grounded terracotta with maroon details, and muted blue, green, orange and hot pink details! 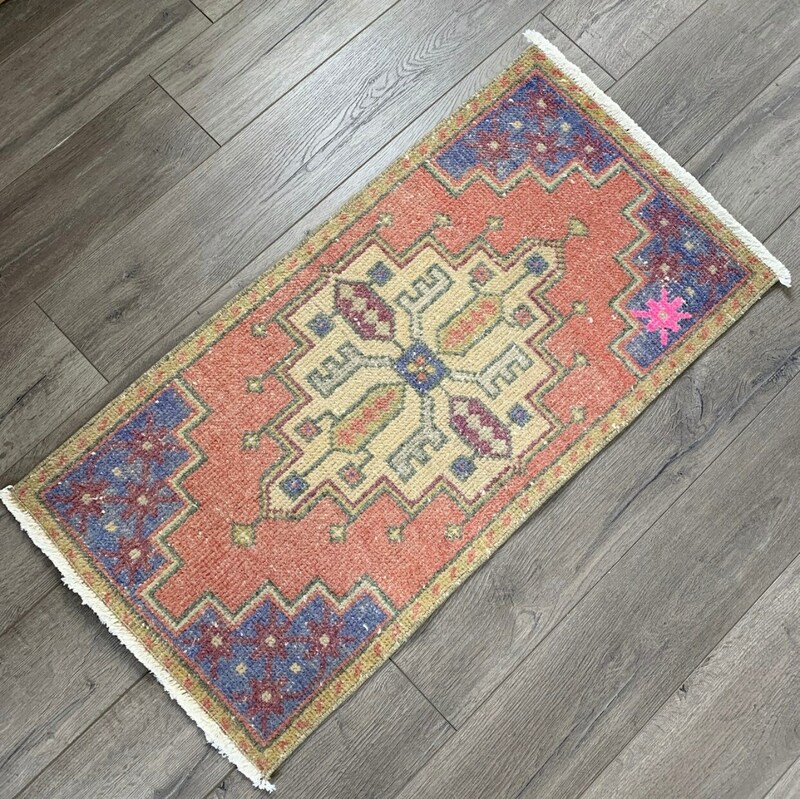 If you’re looking for an alternative to pastels and pinks, this rug has a classic colour combo at a great price point. 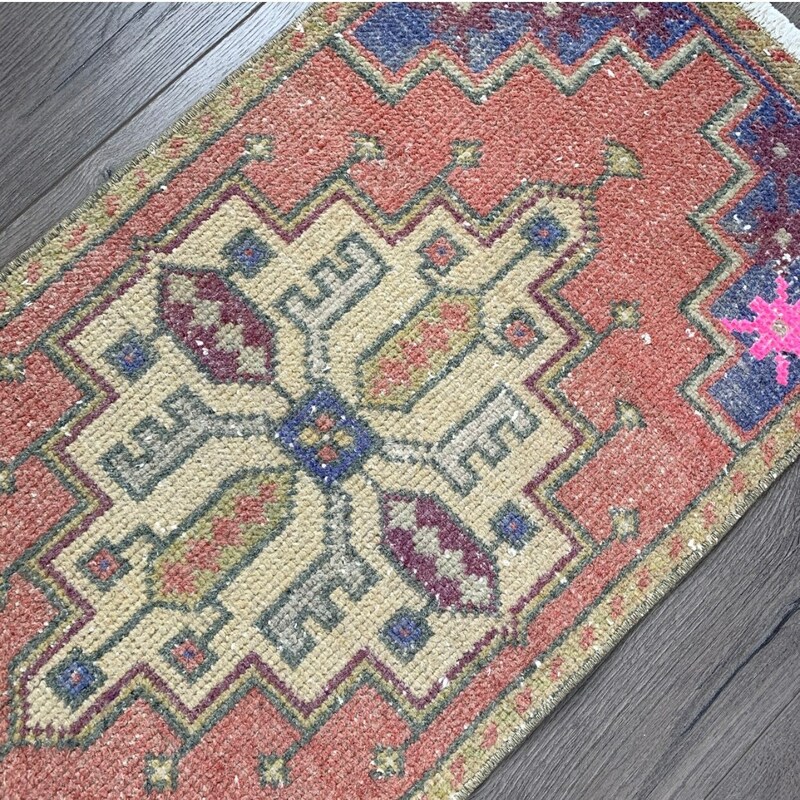 Turkish Oushak rugs are very durable and easy to clean, and can be vacuumed and spot cleaned regularly. 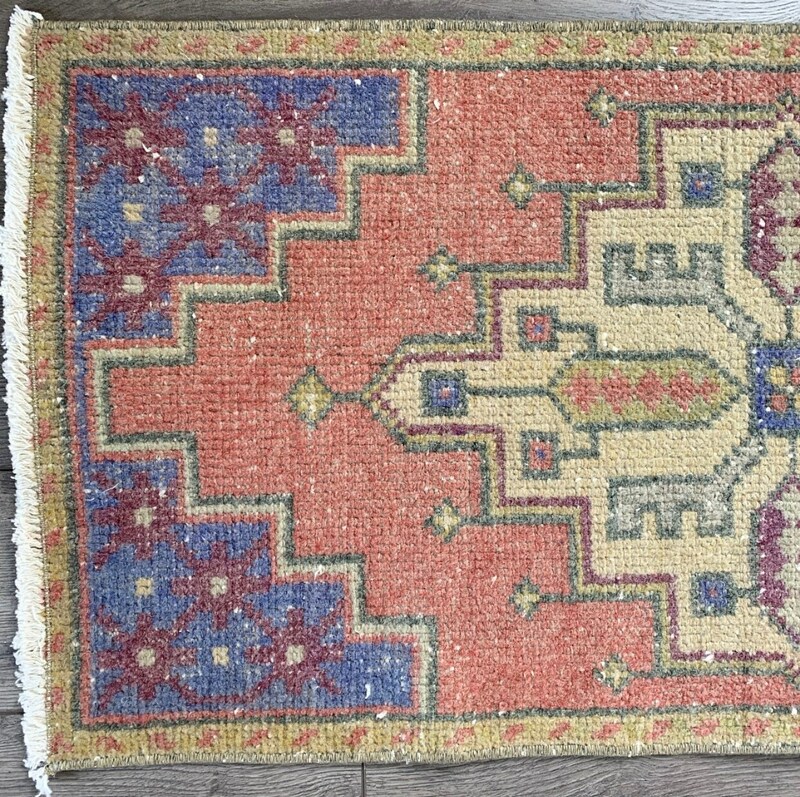 This rug would be well suited to a kitchen, bathroom or entryway. Add a pop of history and colour to your space! 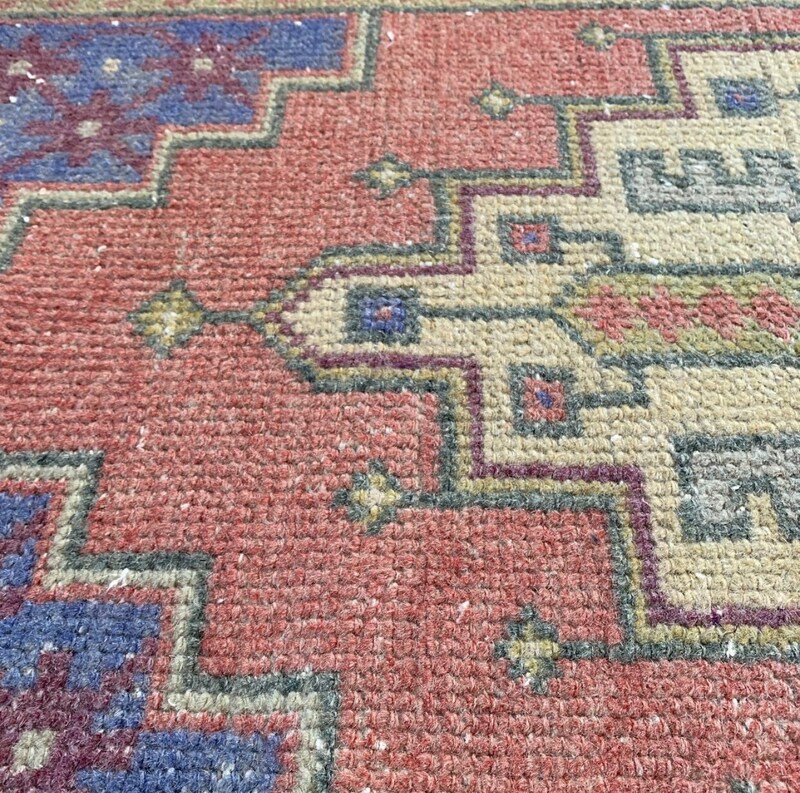 This rug has been professionally cleaned and is ready for your use. Orders received between January 5 - January 12 2019 will ship out on Sunday January 13, 2019. If you’re in Canada or the US you’ll receive your shipment in 4-7 days from the time you’re notified the item has shipped. For international destinations you’ll receive your shipment in 8-14 days from the time you’re notified that the item has shipped - unless we agree to a different timeframe to save shipping costs. I will send you a note confirming the expected delivery date on all international orders. Are the Indian Kantha Quilts all one material? No, Indian Kantha Quilts are one of a kind items roughly the size of a twin bed and made out of multiple different pieces of vintage sari fabric. This means that they are a type of large patchwork, rather than one solid material on each side. 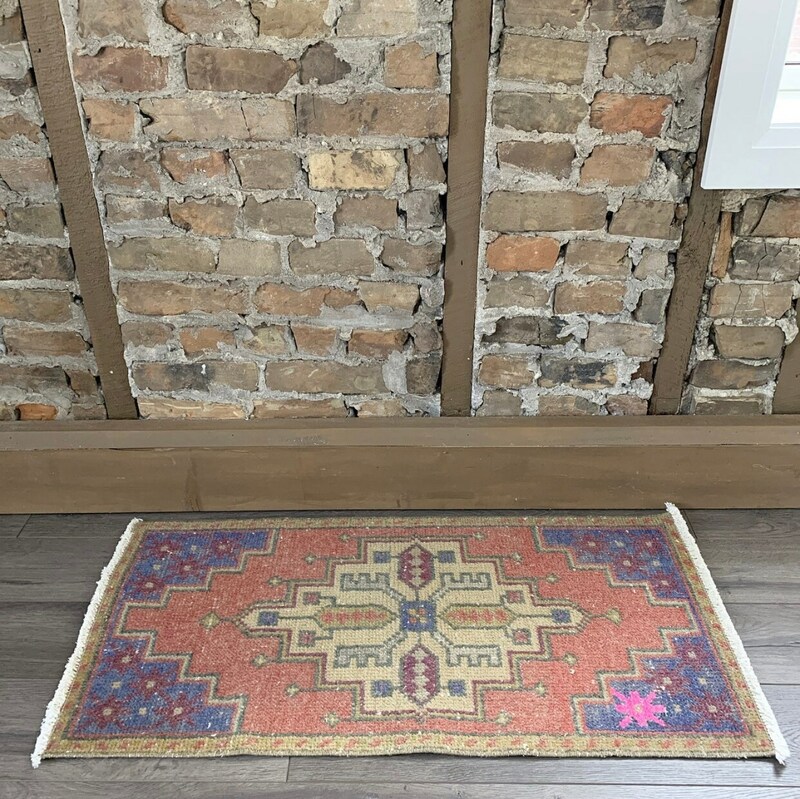 Because of this, you will see some striking colour and pattern combos that are unexpected and beautiful - it’s all a part of their history and charm! They are truly one of a kind heritage pieces and also very durable. In the months of June and July orders will ship out on Fridays and Saturdays of each week. I ship using Canada Post Expedited Parcel, and shipping rates have been carefully calculated based on size and weight. I've pretty much gotten it down to a science! Please expect a 1-2 day delay around holidays, based on recent experience.